The amount of money transfers to Ukraine using international payment systems in 2018 was eight times more than the sum of money sent from Ukraine. 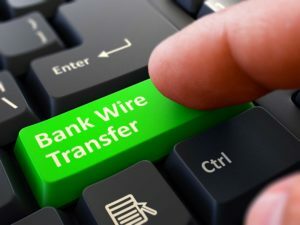 According to a posting on the website of the National Bank of Ukraine (NBU), the share of transfers in money transfer systems to Ukraine was 17% from the United States, 13% from Israel, 9% from Russia, 8% from Italy, 7% from Poland, and 46% from other countries (221 countries). In 2018, both residents and nonresidents used money transfer systems to transact the following transfers: $2.301 billion in equivalent to Ukraine (28.28% of total transfers); $294 million in equivalent abroad (3.61% of total transfers) and UAH 150.53 billion or $5.541 billion in equivalent within Ukraine (68.11% of the total value of transfers). These data do not include information on transfers transacted by banks, card payment schemes and post offices. Domestic transfers in money transfer systems over 2018 has increased by 24.3% year-over-year (in 2017 domestic transfers accounted for over UAH 120.5 billion or $4.456 billion in equivalent). Most of domestic transfers (92%) are transacted in systems established by nonbank institutions. The Cabinet of Ministers of Ukraine as of October 1, 2018 transferred over 938,700 ha of state-owned farmland located outside settlements to 479 (or 72% of the total number) merged territorial communities, according to a posting on the website of Ukraine’s Agricultural Policy and Food Ministry. According to the report, at present, the transfer plan was completed in Zakarpattia, Ivano-Frankivsk, Kirovohrad and Cherkasy regions. The ministry said that the government would compensate expenses on stocktaking. “This is a quality transfer, as a result of which the communities receive properly registered land parcels with cadastral numbers, clear boundaries and ready to be taken into the balance sheet. For our part, we expect effective management of this resource by local governments. We will in particular, track the dynamics of rental rates,” First Deputy Minister of Agrarian Policy and Food Maksym Martyniuk said. In general, until the end of 2018, it is planned to transfer agricultural land to another 183 merged territorial communities.